Welcome to CS Packaging, the premier independent packaging distribution company in the Midwest. We begin by helping you choose the perfect packaging for your specific needs, and we continue by helping you build customized solutions for your day-to-day packaging operations. Throughout our partnership, we give our clients full service and support capabilities, including design, warehousing, VMI, set-up and installation, operator training, and more. Through the years, our dedicated team has established a reputation with our customers of providing fast, reliable and professional service. CS Packaging offers our customers the best product selection, fast delivery and we do it all at great prices! CS Packaging is proud to offer over 25,000 quality products from well- known and trusted brands like 3M, Rubbermaid, Sealed Air and many more! Our mission is to be the single source answer to all of our customers packaging needs. 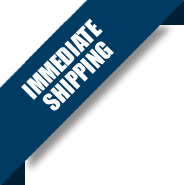 With our website you have 24/7 access to over 25,000 stock products, pricing, ordering and tracking information. Along with our website, we sell custom items designed and manufactured for your specific needs, from bookfolds, RSC’s, custom pads, mailers, void fill, automated machinery and much more. Our high level of responsiveness to our customers keeps them coming back!